In order to gain a greater understanding into how and when human brain development becomes pathological, it is first necessary to understand what the biological processes are that characterise the development of the healthy, unafflicted brain. A popular approach has been to attempt to quantify the thickness of the cerebral cortex across age and stages of development. However, despite the amount of studies investigating this, a consensus has yet to be reached as to whether 1) the cortex increases in thickness in early childhood, in some regions well into school age, before becoming steadily thinner from late childhood onwards, or 2) whether the cortex becomes steadily thinner from early childhood (or at least from 3-4 years at the age where most neuroimaging studies begin), continuing to thin into young adult years. Early influential studies mainly supported the former view, whereas more recent large-scale follow-up studies, including our own, lend support to the latter view (see Fig. 1 for an illustration of the conflicting results). The underlying biological mechanisms believed to underlie cortical thickening include a growth in the number of dendritic connections between neurons, as well as in the number of axons. In contrast, the mechanisms proposed to be behind MRI-derived measures of cortical thinning include the ‘pruning’ (reduction) of synaptic connections, as well as the myelination of axonal connections between neurons, both of which are known to increase the speed and efficiency of neuronal signalling. Importantly, while measures of cortical thickness can be quantified from MRI images, this is still only our best current approximation of cortical measurements throughout life. In this most recent paper, Walhovd and colleagues propose some potential reasons for previous conflicting findings. These range from methodological issues and differences in the statistical models used to fit the data, to the use of different software packages used to estimate cortical thickness from brain reconstructions, and movement in the scanner. In addition, the way in which cortical thickness is quantified, and in particular how it is differentiated from separate measurements of cortical surface area, seems a potential reason for the divergent evidence. 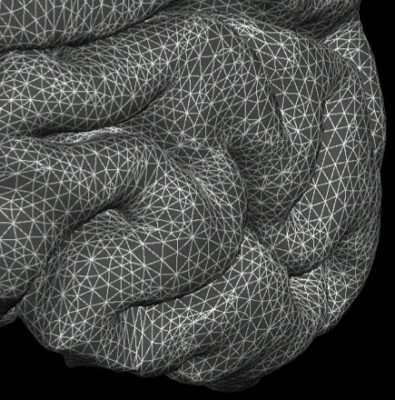 While it is not yet known what can be attributed to the divergent results, given the fact there are many milestones in development whose appearance in time corresponds across humans, the major differences that have been proposed in the developmental trajectory of the brain seem unlikely to represent reality. However, LCBC believes that the current state of the research field does not allow one to draw conclusions as to which of the proposed models most accurately represents the normal development of the brain. Instead, the paper proposes 2 ways in which scientists in the field can begin to reach a consensus. Crucially, for accurate estimation of cortical thickness one must first accurately delineate the grey matter (red line, fig. 2) and white matter boundaries (yellow line, fig. 2) that border the cortex (here, surface-based techniques that measure thickness at every point on the cortex using a mesh representation (fig. 3) excel). First, implementing the combined use of different types of MR images, specifically T2-weighted images, could help improve the estimation of the cortical boundary by boosting the MRI-derived signal, and thus may improve thickness estimations. Secondly, encouraging greater sharing of datasets amongst research groups would help identify to what degree different data processing and analysis strategies can influence the results observed, by subjecting the same dataset to different processing pipelines. LCBC believes that such strategies could facilitate greater knowledge, and potentially also pave the way for reaching a scientific consensus as to how the cerebral cortex matures throughout development. Given that it will also shed light on developmental paths that lead to aberrant development, the paper submits that it is now critical that we begin to form a unified understanding of the brain mechanisms underlying healthy brain development. Walhovd, K. B., Fjell, A. M., Giedd, J., Dale, A. M. & Brown, T. T. (2016). Through Thick and Thin: a Need to Reconcile Contradictory Results on Trajectories in Human Cortical Development. 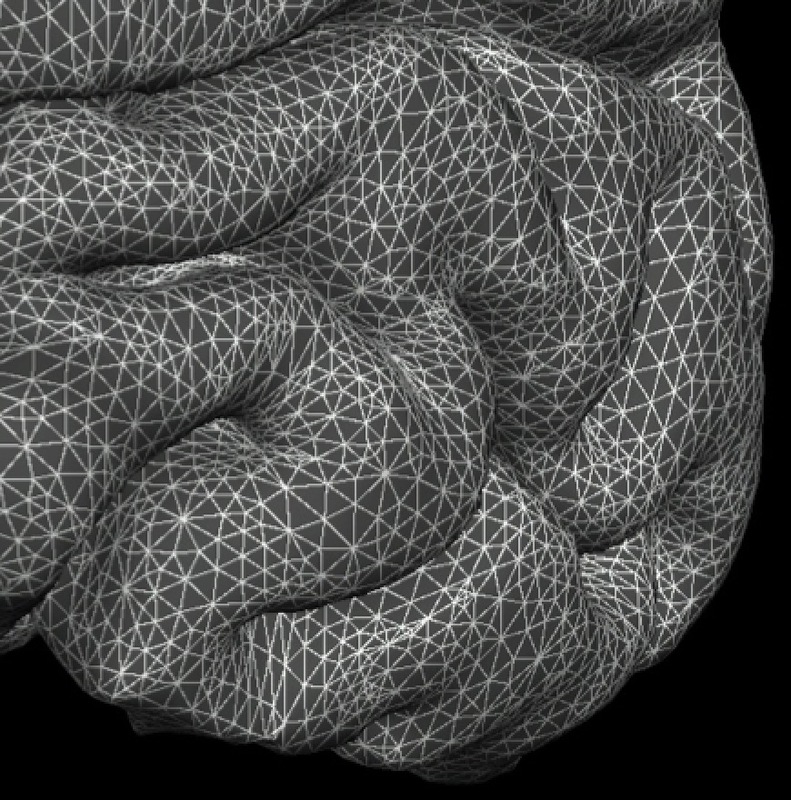 Cerebral Cortex.